I am fundraising for the poor to help us deliver them healthy products to them. We want to deliver healthy products to all the parts of India specially the poor. If the poor are healthy, so everyone will be healthy. Do help us achieve our target. Thank for reading this. 100 farmers in Telangana have received immediate compensation. Volunteers have been working on the rehabilitation of suicide-affected families. 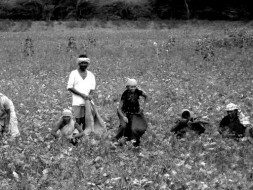 Farming in Telangana is water-intensive due to the nature of crops. A lot of awareness campaigns were conducted in villages to promote non-chemical based farming. The goal was to get them to change from chemical to organic farming, which is not only beneficial to the environment but also for long-term monetary sustenance. This is a long-term process. Thanks to your contribution, wheels of change have been set in motion. Many farmer families were unaware of loan processes and have been living in debt for years. Awareness campaigns by Suri and his team have also tried to teach farmer financial independence and governmental know-hows of land ownership. Your contribution has put over 100 farmers and their families on the path of dignity and sustainability. The volunteers thank you for your tremendous support. 1) A transfer of $11003.94 has been initiated to Center For Sustainable Agriculture (CSA) who is our partner on the ground and the money should be credited soon. 3) The list of beneficiaries are being currently identified and will soon provide updates. So now to the incredible part of the campaign. The individuals didn't just spread the word about the cause, they donated to the cause. The individuals didn't just donate to the cause, they formed teams and strategies to do fundraising to support this campaign. Incredible when individuals come together, stay together and work together. And now to the fun and exciting part of the campaign. How do we create more awareness about this campaign? How do we take this campaign forward? How do we help reach the campaign to more people? 10 more days, 10 more lakhs, 10 more people we need to reach and we would have done it. So please continue spreading the word after all this is our campaign to support our farmers since this is our responsibility. Thank you all for your generous contributions and incredible support. One of our team members Srinivas Ranabothu is on the ground visiting the families in different districts of Telangana along with members from Rythu Swrajya Vedika. The team will be conducting field trips until the end of this week. Once the information is compiled, we shall send further updates and coordinate the disbrusement. Once again thank you for all your support. Please also do consider spreading the word and may be tagging 10 of your friends and encourage them to donate $20 or Rs 100 as an effort to create more awareness. This campaign is also about engaging with people and discussing about the farming crisis and its potential solutions. Obviously, if you have other suggestions on how to create more awareness, please do let us know.